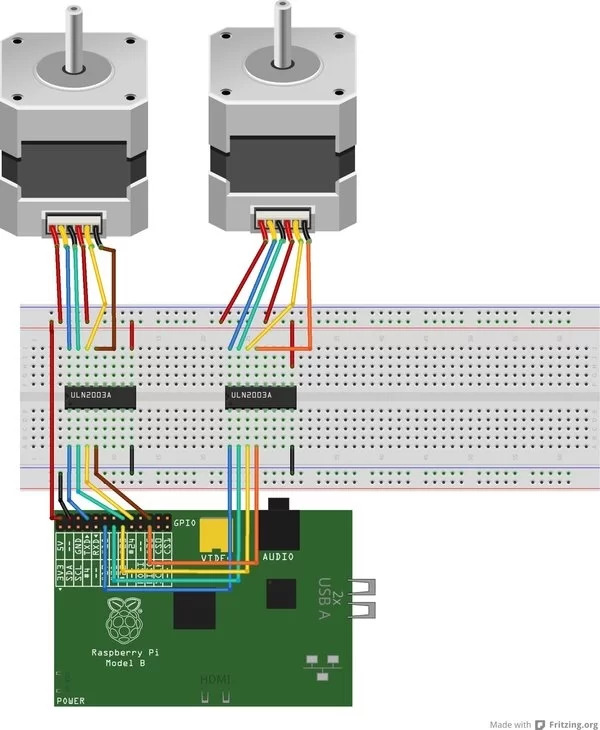 The title of the article can be as well as ‘Let’s build robots using stepper motors and the Raspberry Pi,’ because everything you need is a good example of where you can learn how to control the spin direction, speed, and the rotation of a stepper motor using a fruit-named single board computer, a controller board, and one or more stepper motors. Having played with LEDs, switches, or any other components that can be embedded into a robot is a plus and can contribute to improve your electronic and programming skills in order to interface stepper motors with Raspberry Pi. To get the motion of the electric motors, you have to build an entire system where several components such as a motor drive board, stepper motor, single board computer, wires and a programming language has to be combined to return a functional motion system able to move a robot with accuracy and on the right path. A voltage near zero volts is interpreted as a logic zero, while a voltage near 3.3V is interpreted as a logic one. A stepper motor is controlled by multiple electromagnetic coils able to work individually to provide a precise rotation of the motor divided into steps. There are several reasons to use stepper motors in robotic projects including here an accurate position, abilities to spin forward and backwards in discrete steps or in a continuous rotation, and the ability to be controlled with or without feedback. Any of the GPIO pins of the Raspberry Pi should not be connected to a voltage source greater than 3.3V. The Raspberry Pi is a single board computer with support to connect and control directly a wide range of components and modules. Your focus in interfacing stepper motors with RPi is the GPIO pins that can be found in number of 2×13 header pins including SPI, I2C, serial UART, 3.3V and 5V power. If for an Arduino board you might control motors using the 5V power level, the RPi allow you to use the 3.3V logic pins. 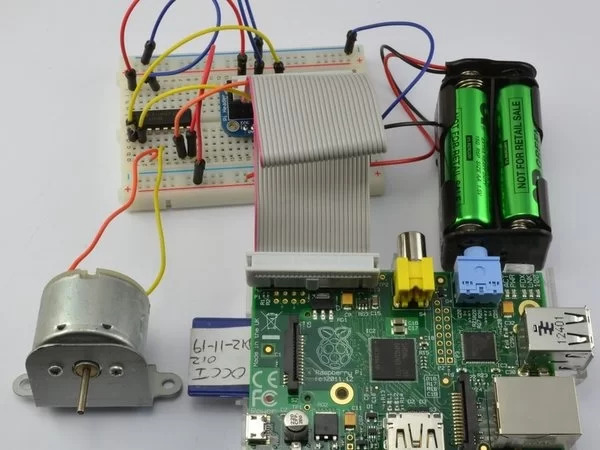 My mission with this article is to provide you as much information to control the stepper motors with a wide range of programming languages supported by the Raspberry Pi, as well as in as many methods to fit on any project. Using simple programming lines, you can control the certain pulse signal that will drive the motor in steps to a certain angle. At the same time, you can control the speed of the stepper rotate by controlling the number of the pulse. All of these controls use the GPIO pin states, which can be LOW or HIGH. When the state of a pin is HIGH, the motor is engaged in rotation and with the proper sequence and timing you achieve motor rotation.